One of my wishes for all of radio is that we dispense with boring, staged phone topics presented for use by prep services. The best phone topics come from stories the talent tell about their life, before they put the spotlight on the audience by asking them to tell similar stories about themselves. We talk about being relevant and strategic in radio. This approach to topics does a few important things: it defines the talent telling the story because it’s about them (must be relatable), then flips the script by allowing the audience to tell stories just like that to entertain the cast and other listeners. 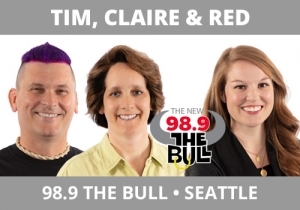 Tim, Claire, and Red, 98.9 The Bull, Seattle executed this perfectly in these two breaks below. Red tells a story about what she’s like shopping online when she is drunk (listen to the chemistry and natural laughter as her team pulls out all the details of the story). Then in the second clip, a listener calls to advance the narrative in their quest to do real life content that is fun to hear.